Grainne graduated from The Queen’s University of Belfast in 2008 & became a Member of the Royal College of Surgeons in 2011. 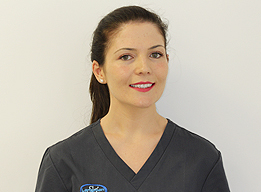 She is delighted to return to the team, having initially joined the practice in 2009 for three years before completing an Oral Surgery posting at the Dublin Dental University Hospital & working in a private dental practice in Singapore. Grainne recently completed an AMCHI dental outreach mission, bringing much needed emergency dental care to the most remote regions of the Himalayas. In her spare time, Grainne enjoys travelling, theatre and entertaining friends and family. She loves to cook and likes to keep fit by running and playing tennis regularly.